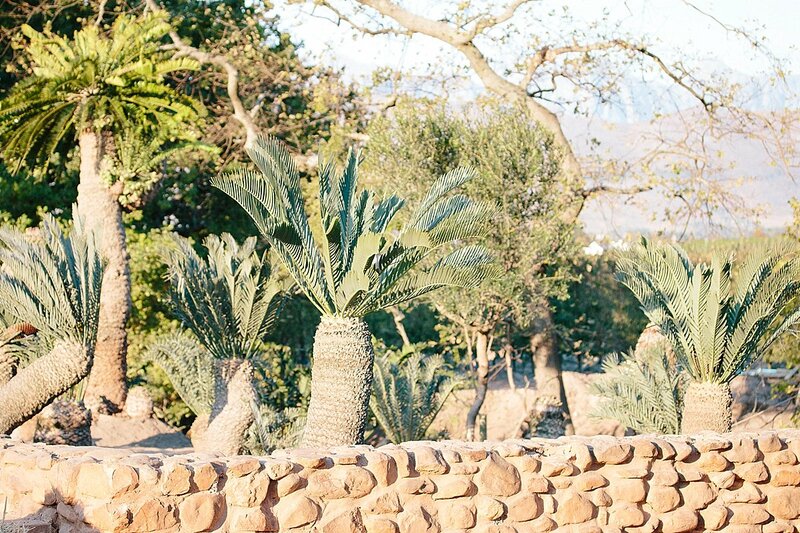 If you’ve been to the farm recently and meandered across the wooden bridge that leads to the koppie, you would have noticed that the riverbanks have been cleared to showcase our new cycad collection. 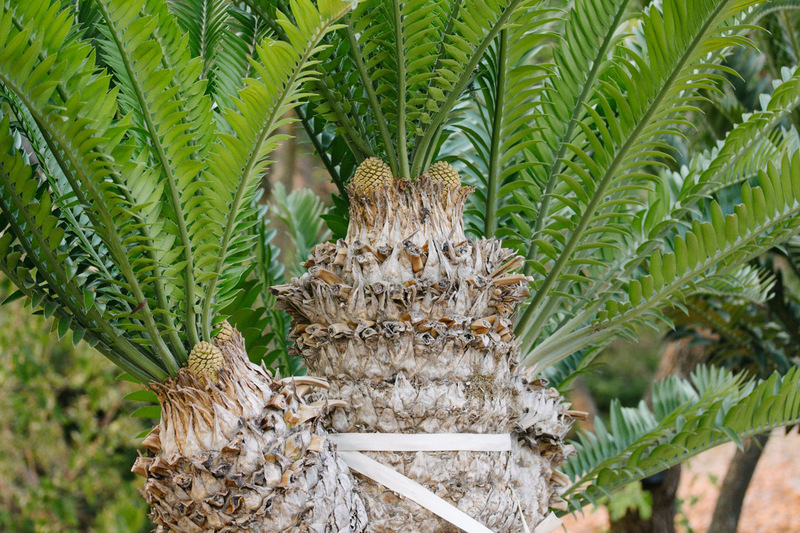 We’re proud to host almost all of the 41 South African indigenous cycad species. 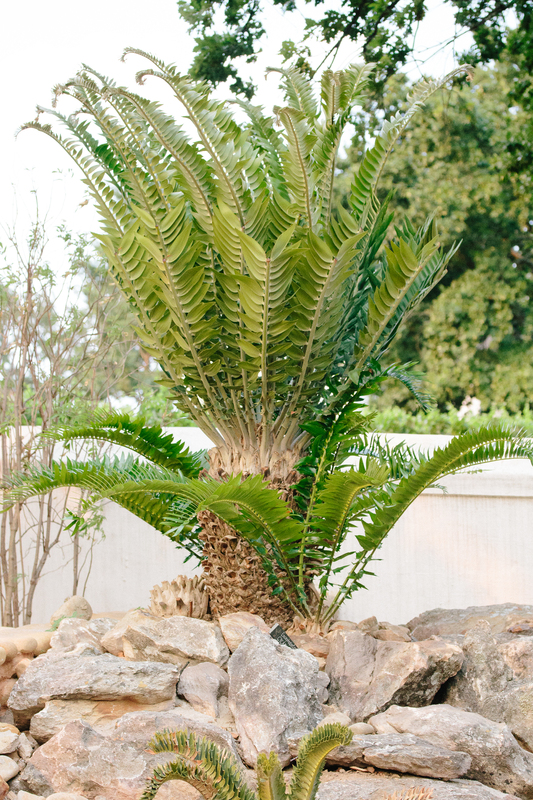 The well-known South African cycad superficially resembles a small palm with divided leaves in a central rosette, and varies in size, from stemless to almost 10 m tall. Cycads are cone-bearing, true living fossils and remnants of the past, with only some 300 species left on earth. Together with other cone bearers such as pines, spruces, yellow woods and cypresses, the cone-bearing plants represent less than 1 % of the world’s flora. Like most species with restricted distributions, some of them are at the brink of extinction. Of the very rare Wood’s Cycad (Encephalartos woodii) only a single male clone remained at Ngoya Forest in KwaZulu-Natal. After its discovery by Medley Wood, in 1895, it was removed and taken to Durban’s botanical gardens, from where the plant was divided and sent to various institutions. Several hundreds have been propagated, of which we have one here in the garden. Although some species have been illegally exploited from the wild, and are critically rare or extinct today, most cycads are easily grown from seed or vegetative suckers and numbers in cultivation are on the increase. Replanting mature specimens however are a bit trickier, and great care had to be taken during transport and planting of our cycad collection. The plants were carefully dug out, the roots bound with the root ball intact and a crane was used to lift the plants into the truck. Any damaged parts of the roots or stems were also treated with a fungicide, preventing fungal diseases. Our soil consists of alluvium and is clay based, so sufficient drainage had to be established first, and sand had to be added to the mixture, which provided extra drainage. Back on the farm the holes were prepared, the plants planted and supported with ropes, before they could finally settle in. Join botanist Ernst van Jaarsveld and our garden team on 25th of May for our first hands-on cycad workshop to learn about propagating, growing and caring for your cycads. Find all the information about the workshops here, or email enquiries@babylonstoren.com to make a booking. Ek stel baie belang in “geophytic pelargoniums”, maar het agtergekom hulle is maar skaars. Hier op Struisbaai groei Pel. Lobatum en Pel. Tristee wat ek wel het. U weet nie waar ek van dit in die hande kan kry nie, natuurlik om te koop, of saad dalk. Ek het al n paartjies by Leigh Niewoudt gekoop. Daar is egter baie soorte wat ek orals maar navraag doen. Pel Klinghartense het ek ook al baie gesoek, dis so mooi, om die waarheid te sê al die soorte is uiters mooi. Miskien weet u dalk. Baie dankie hoop om van u te hoor. Beste Kitty, ons vra dat Ernst jou sommer direk kontak. Jy kan hom ook e-pos by ernst@babylonstoren.com.